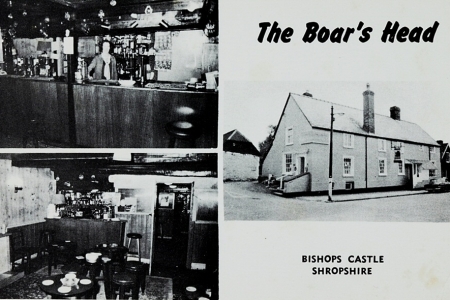 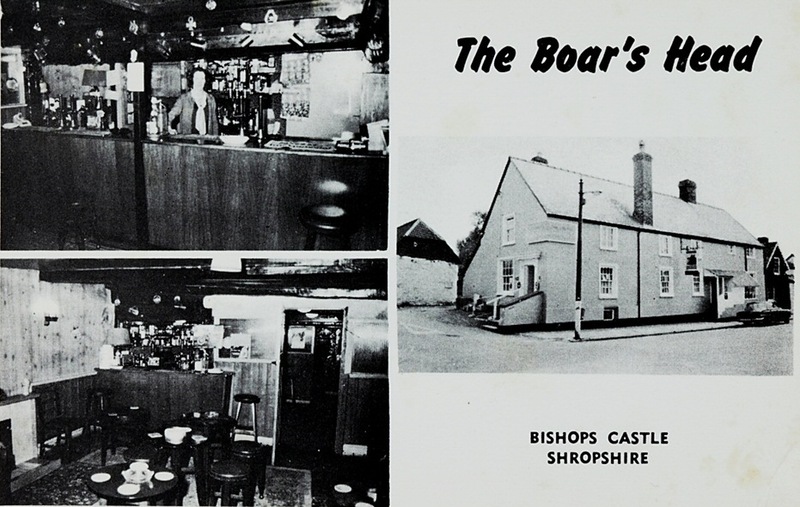 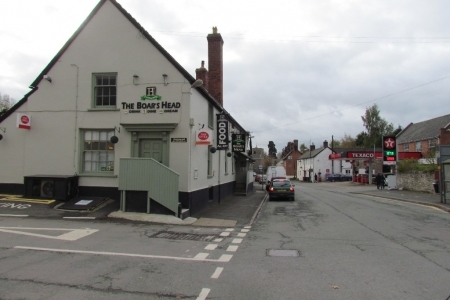 First Licenced in 1642, the Boars Head has successfully traded for over 350 years. 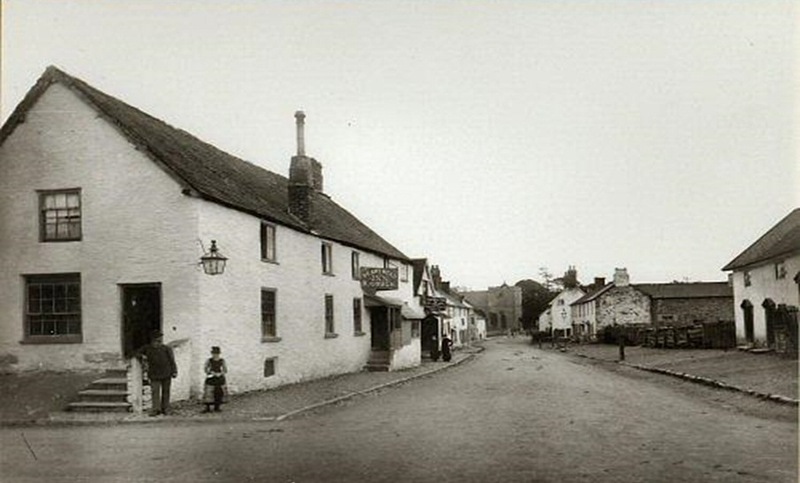 The earliest recorded landlord is Thomas Davis in the 1790’s. 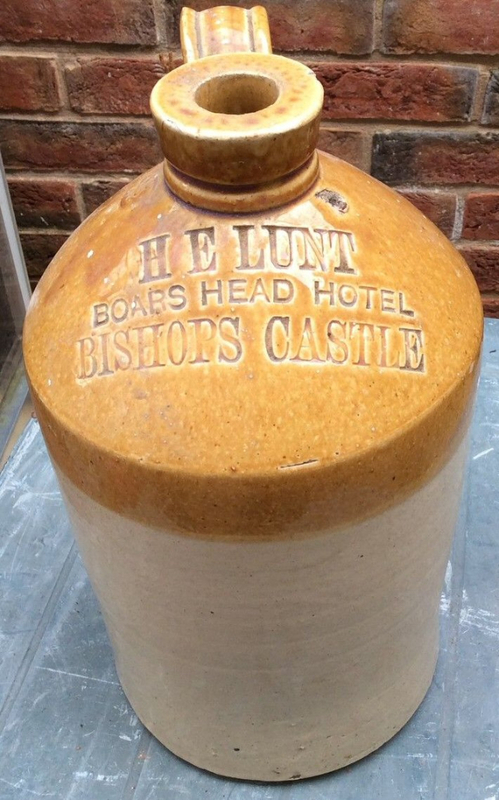 From 1828, Robert Norton, (from a prominent family in Bishop’s Castle trade for the next 100 years), was landlord until the 1840’s. 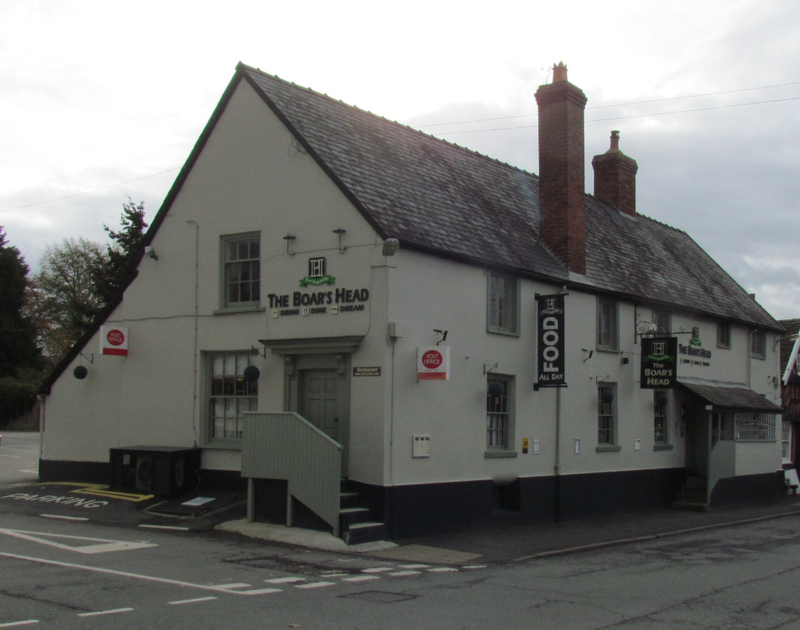 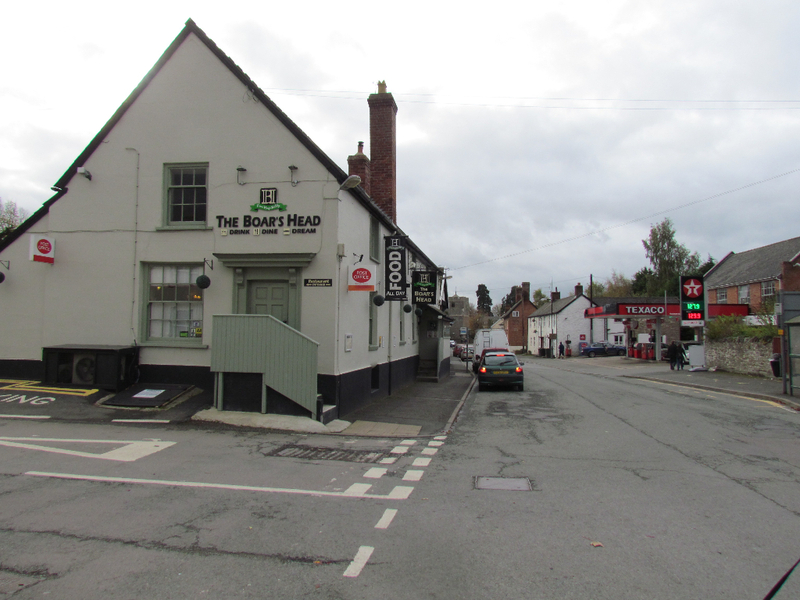 Howard Greenhous (ancestor of the current Shrewsbury family) advertised in 1850 that “he begs to inform….he has taken to the respectable and old-established Boars Head Inn….being determined to vend the best of articles…” and offering “well aired beds, spacious yard and stabling”. 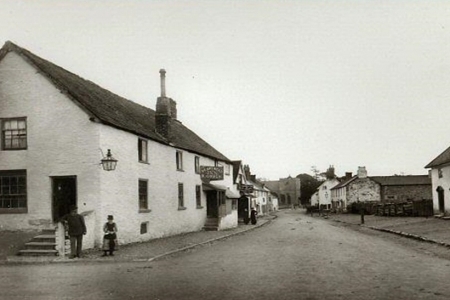 In 1899, landlord Mr Henry Lunt, promoted a Pigeon Shoot. 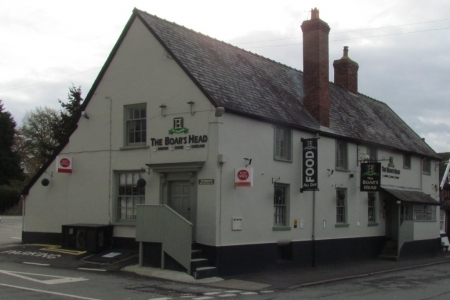 It was reported in the County Times, 9th December, “There was a good supply of strong birds and later, a company of 40 sat down to a excellent dinner at The Boars Head and after song and sentiment, everything passed off satisfactorily.” Excellent food is still available! 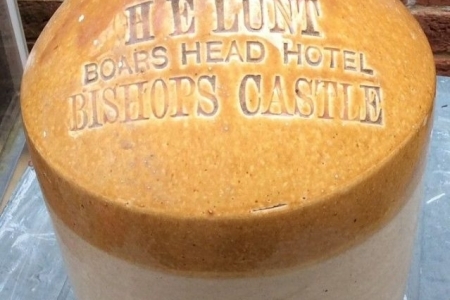 The image above is a 1 gallon Stoneware Flagon advertising the hotel with Henry’s wife, Hannah Elizabeth’s name and it is on display in the House on Crutches Museum.